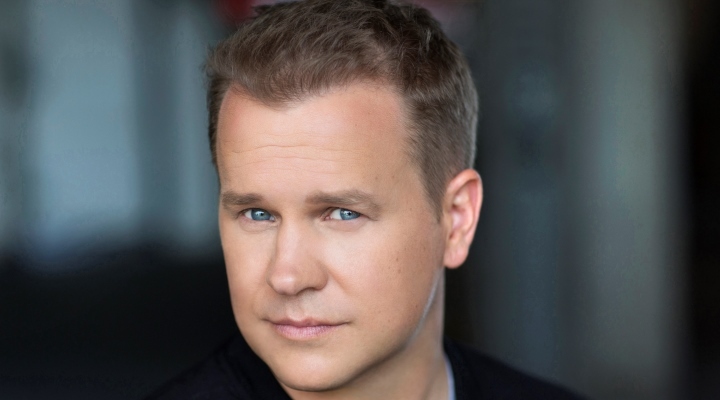 Michael Coleman has always been fascinated with film, television, and the stage. It’s ability to make people laugh, cry, feel united, question the way things are… all of it! He has also been one of those people to never put anyone up on a pedestal and sees everyone as equals. This has given him the “Why not me?” mindset from the beginning. Even when he was a small boy and there wasn’t much of an industry in his hometown of Vancouver, BC, he decided this is how he’d make his money and spend most of his days. Michael will often refer to it as “humble swagger” but perhaps it is something else? He’s just never considered not asking for bigger things in this world even if it is new territory or not something typically done. From writing and starring in his own TV show at age 16, to writing and producing his own plays after high school, to opening his own casting studio, production company, and post-secondary arts school. Michael Coleman is an avid reader and student of human potential and behavior books. He has found incredible new and exciting tools for both his craft and business from books like The War of Art (Steven Pressfield), The 7 Habits of Highly Effective People (Stephen Covey), SuperFreakonomics (Steven D. Levitt and Stephen J. Dubner), Blink (Malcolm Gladwell), and Unlimited Power (Anthony Robbins). Michael uses these inspirations to create innovative new exercises and techniques for his students. Michael has also used the social media followers he’s established for the purposes of creating greater opportunities for charities and organizations. Some of the groups he’s worked with the most in recent years, dedicating resources and often initiating events for, include BC Children’s Hospital, Women in Film, Qmunity, CIDP/GBS, IBS Foundation, ALS Foundation, BC Cancer, and Downtown Eastside Women’s Centre, just to name a few. Michael Coleman defines success as follows: “Have those you respect and want to work with, respect you and want to work with you.” Michael has worked with several of his childhood idols and considers many of them good friends today. I was doing stand-up comedy and sketch comedy at local clubs and I was discovered by a seasoned actor who set up a meeting for me with his agent. I believe being an actor is more than a job or even a career. It is a calling. It’s a chance to change the world. The stories we tell is similar to the music and art made by other creative professionals. These are the things that often have society look deeper and decide who they want to be. The ability to contribute at this level is a true honor. As an actorpreneur, I make my money through various revenue streams. As an actor, as a voice-over artist, as a writer, as an educator, as a business person, as a producer. The film and television industry is a multi-billion dollar industry in Vancouver alone and there are lots of opportunities for smart, hard-working individuals with focus, determination, and solid habits to make this their career. I have been working professionally since I was 15 years old. My Granddad always told me I was “born old” and I never felt the need to become an adult to hold myself to those standards or to be ready for opportunities. All the time. I still do. I have never met an actor who doesn’t feel this way. And truthfully? Fame is fleeting. It begins to leave you as soon as you acquire it. This doesn’t mean your career has to be short, it simply means you need to always be getting better and always prepared to reinvent yourself. When I was younger, Scott Baio was one of the most popular people on television. He could do no wrong and was one of the more bankable stars. But he failed to reinvent himself or evolve and so that run ended. Ron Howard, on the other hand, went from a child star on a black and white tv show to teen television star to world class director. There are countless examples of actors having short careers and long careers. The one constant? In almost every case where longevity was the answer, the performer needed to re-invent themselves or evolve into something new. I boldly walked into my first feature film audition when I was 16 in character. He was an overly confident but likeable hero and I referred to myself by the character’s name. A bold decision I’d not advise to any of my students, nor would I try it again! But for better or for worse, this gamble paid off and a I booked my first gig as the lead of the film. Authenticity and generosity. This is another skill from “The 7 Habits of Highly Effective People”. Always think win/win. Somebody doesn’t have to lose for you to win. There are lots of wins out there for all of us and enough pie to go around. Be smart. Be kind. Be authentic. People want to work with people like this time and time again. I have several directors whom I’ve had the honor of working with multiple times. I sold my business of the last 10 years. I designed every inch of it and hired most of the staff myself. But my vision no longer aligned with my business partners and it is time for me to start again and return to the original vision. I am both sad and excited by this change. I liken it to that of a professional athlete who changes teams. I was a very big part of a certain team for a decade and at the top of the management hierarchy, but circumstances changed and new opportunities presented themselves that could not be ignored. The new school I am developing has ground breaking ideas that haven’t been seen anywhere before. It is affordable and built with young people starting out in mind, and has an element of community and purpose that will ensure our students are mandated to make the world a better place with their art. I am never afraid to roll up my sleeves and do the work. I work smart. I am authentic. I realize that relationships are the key to success in most aspects of life and this industry is no different. While this business is not about fame or trophies, I’d be lying if I said some of my most satisfying moments have been my opportunities to chat with childhood idols like Robin Williams, Stan Lee, William Shatner, Mark Hamill, Lou Diamond Phillips, Steve Zahn, and countless others. There is a great line in the movie Rockstar starring Mark Wahlberg where he shouts out to a crowd at a concert “I used to have posters of these guys on my wall and now I am one of them!” and this is how I often feel when working alongside my childhood heroes. I own a production company, Rebel West Pictures, that is creating some incredible projects that I am just as happy to watch as I am to make. I am starting a new post-secondary school with elements of empowerment, community, and opportunities for unparalleled career results like nobody has ever seen before. I have been developing my own websites michaelrobertcoleman.com and rebelestpictures.com and a new one for the school launching soon. I have a curious mind and while it is often easier to hire someone to do things like this, I am more inclined to take courses, buy the software and do it myself. Partly because I am cheap? LOL. Maybe. But mostly because I truly love to learn new things. What do you wish your art or stories could do if you had one wish? I wish my stories would help people find common ground and lessen the divide. I am truly saddened by the divisiveness we see growing every day and the inability for healthy discussion and debate. I believe people are inherently good and while we often have different ideas we’ve spent the last decade all preaching to our own choirs and then wondering why the divide hasn’t gotten any smaller.